Looking for a unique Christmas gift idea? It’s hard to believe that another year has come and gone so quickly and Christmas is only just over 3 weeks away. Time seems to pass at a breakneck pace these days making it even more critical to aspire to great health so you can make the most of each day. On that note, why not help empower a friend or family member put an end to their nicotine addiction, try something new to reduce stress, anxiety and even those excruciating migraine headaches, or even help with weight loss so they can get the most out of life? Low Level Laser therapy and Reflexology promotes healing on so many levels. It’s as simple as that! Encourage those you care about most to live a healthier, happier life in the new year! 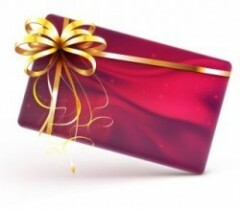 Give the gift of Laser Therapy or Reflexology this year with a Calgary Laserworks gift certificate! Your loved ones will be forever grateful. Call 403-301-3730 today to discover more about this one-of-a-kind gift idea for someone on your Christmas list!